It was absolutely heartbreaking to be walking the halls of Capitol Hill, seeing the incident unfold on Twitter. Social Media is a great tool... but it also has limitations, and there wasn't a lot of information until BFD spoke with the press this evening. 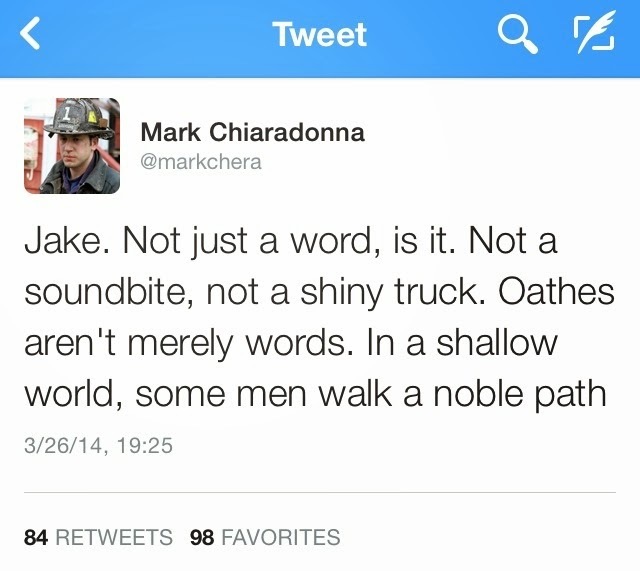 Mark is someone I follow on Twitter, and I think he said it best. 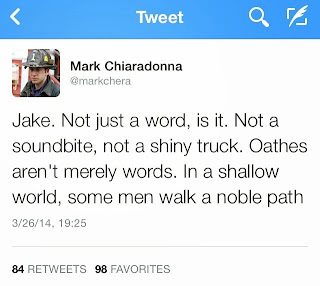 In the Boston area, Firefighters are called "Jakes". Lt. Edward Walsh and Firefighter Michael Kennedy leave behind family and friends, and a whole city is in mourning.